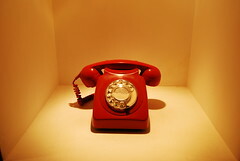 Pick up the phone, and call your existing customers. Just say hello, check in that everything you’ve done for them is still working, or whatever the equivalent is for your business. Thank them for being a customer. Feeling brave? Tell them you have some extra time right now, and tell them exactly what kind of work you’d love to pick up. But that’s optional. If you find an unhappy customer, you get the chance to make it right. Result: they become your biggest fan. If you find a happy customer, you feel great and they feel great. Result: they will watch for work to send to you. Of course, the best that can happen is that you turn up someone who needs some work right away, right? Well, I’ve seen it work. A local small business person asked me what he could do to get business right away. I encouraged him to make some calls to current customers. He reported back that he picked up two new jobs immediately. What have you tried to find business immediately? P.S. Don’t forget the webinar Tuesday, “No You May NOT Pick My Brain!“ with Sheila Scarborough and me. This is a very simple and effective tip. I work with a lot of small business owners in the UK and a lot of the focus seems to be on chasing new customers all the time. Like you say picking up the phone to existing customers is an easier way to get business immediately and helps build relationships. Thanks, Jamie. The relationship building is a bonus side effect, in this case.